@Mel_Nod, we would really like to help here if possible. I agree. The numbers are rising. 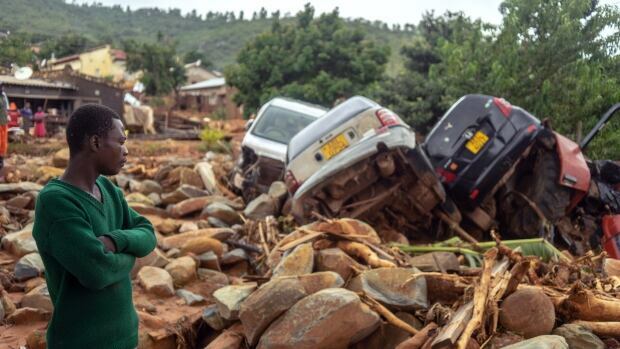 There is widespread damage throughout Mozambique, Zimbabwe, Malawi, etc. I would imagine there will be UNHCR type tents set up here in the next while for shelter, medicine, etc. 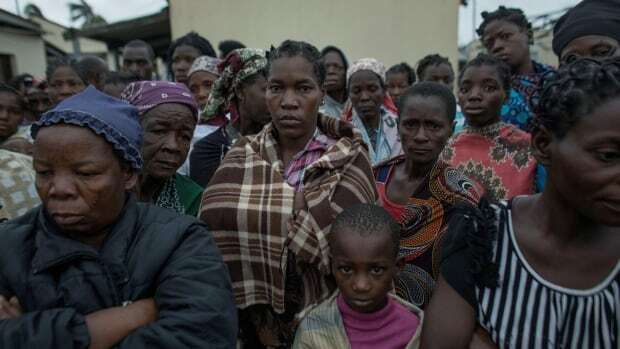 More than a thousand people in Mozambique could have been killed by Cyclone Idai, the country's President Filipe Nyusi said in an address to the nation broadcast by Mozambican national radio on Monday. Hello @trevycas! Welcome to the forum. One of the things we all have to remember is that a government agency, a relief or other organization has to ask for DG’s (Digital Globe’s) help. Once they do, then the satellites have to be re-tasked to take images of the specific area. If there is still a lot of cloud cover over the area, that blocks out a lot of damage. Archived data has to be searched to get the same “search” area and then there’s a lot of digital “cutting and stitching” done which actually creates the before and after images we see. Once that is done, then the campaign is announced. But our help has to be asked for first. Many times we “nodders” - that’s what we call ourselves - feel so frustrated and useless because we want to work on a campaign such as this, but no one asks. I agree with you that the damage and loss of life could make Hurricane Maria pale in comparison. This makes me think of the island of Dominica… 95% destroyed. I agree, we need one of the aid agencies to ask for our help…we know the Red Cross and Save the children (below in article) are already on the ground there, but I am unsure of agencies such as UNHCR, or another of this type. “Amnesty International in a statement on Tuesday called on foreign governments and international aid agencies to"ramp up” resources and assistance for thousands of people that have been displaced, and those that are still trapped in the aftermath of the disaster." I also agree, as the damages are starting to come in and the death toll rises, this is a disaster that could surpass H. Maria or any others we have worked on previously. We all want to “help immediately” but I’m not sure the system can do this. Thanks for your informative reply. The need for an initial request was known to me, as was the basic idea of the set-up time to prepare a live Tomnod project. Regarding the request for help, it appears that the Charter Activation asking for help has been issued: https://disasterscharter.org/web/guest/activations/-/article/cyclone-in-zimbabwe-activation-599-. https://reliefweb.int/report/zimbabwe/unoosa-activates-international-charter-cyclone-idai-zimbabwe. DigitalGlobe is partner to the charter, so is that the request for help that is needed, or does Tomnod itself have to be asked for assistance? Can anyone else help direct @trevycas asap?? I’m not the one to answer your questions but I can direct them to @Mel_Nod. I see it is on the Open Data Program already. Open Data Program is DigitalGlobe's solution to the humanitarian community with critical and actionable information to assist response efforts. DigitalGlobe is partner to the charter, so is that the request for help that is needed, or does Tomnod itself have to be asked for assistance? I did check DG’s website regarding disaster assistance (open data), read and downloaded their policy (PDF) for future reference. In the description of services available it does give Tomnod (crowdsourcing) as an additional layer of data. “As an event is predicted or unfolds, the DigitalGlobe Crisis Response Team monitors the event and calls an Activation Meeting, if necessary. At the Activation Meeting, the Crisis Response Team will decide the appropriate response. In alignment with the Humanitarian OpenStreetMap Team (HOT) protocol, the event will be evaluated according to these criteria. The team will consider geographic scope, humanitarian impact, estimated duration and need for activation. These will help determine whether or not the open data policy applies. Data will generally be made free and publically available for any major event. Thanks @Kateg and @Jim for your quick answers. Thanks everyone for timely, on-topic responses! (3) separately, if someone such as myself with a GIS and Remote Sensing background, with some of the appropriate tools, can be of assistance in preparing the project for release? does Tomnod need more volunteers at the level just mentioned (project preparation)? I am not an employee, but let me try to answer some questions, to the best of my knowledge. Work on images is done in-house. Employees work on images, not volunteers. Anyone can apply for open positions, e.g. for employment. The headquarters for DigitalGlobe is in Colorado. WV4 was billed as the company’s go-to sat for numerous time sensitive contracts. As a result of that catastrophe with WV4, revenues took a hit, stockholders got nervous, and stocks dropped. So, as Mel posted, much is in flux right now. We need to be understanding while they get things sorted out. In the meantime, Dr. LaRue and Mel look forward to Nodders going through the new seals campaign and marking the tiles as Seals or No Seals. And we still have a little bit to go on H. Maria too – Mel said researchers still ask after that data, so let’s give them all the data we can! Could it be that DG just haven’t got any imagery of those areas affected (yet)? Just briefly looking on DG’s Open Data https://discover.digitalglobe.com/ the latest image date for the Beira area (that I can see) is 4th March…which may be useful for the before imagery in a campaign. So I guess a satellite would have to be tasked to that area and hope for viable imagery first. If there’s still a heavy cloud cover, they’ll have to wait until it clears up some before obtaining a lot of usable photos. Still, I imagine there are areas where the cloud cover isn’t that bad and that would be usable to a good extent. I also checked out many of the data sets in the archived data - 44 data sets. Most were clear, but a few had some cloud cover which would make it hard to use - like the smoke in the Illegal Burning campaign for Indonesia we worked on. Some areas were so smokey you couldn’t see anything but the glow of the hottest fires through the smoke.